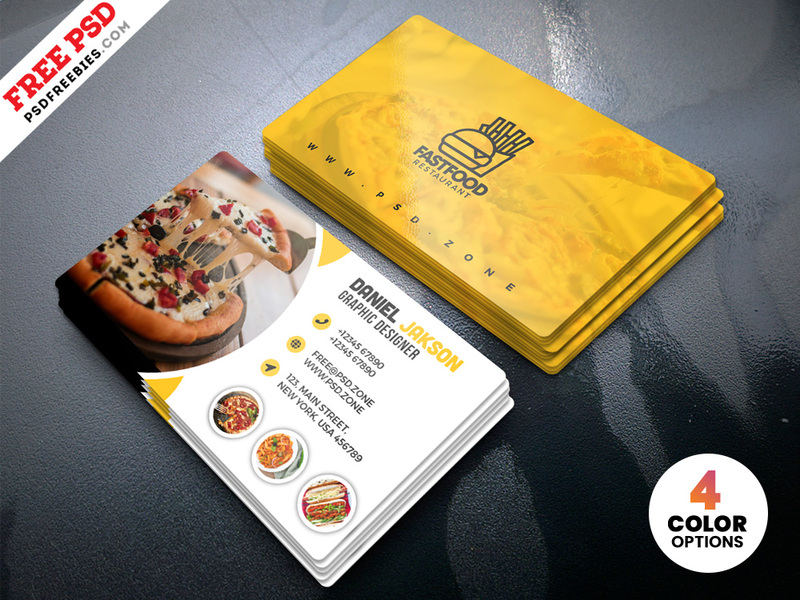 Download PSD Restaurant Business Card Design Templates For Free. This PSD Restaurant Business Card Design Templates is perfect for any kind of food industry like a restaurant, bar, hotel, cafe shop etc. This Freebie Included with 4 different color options. This PSD Restaurant Business Card Design Templates is designed and created in Adobe Photoshop. Download contains 300 dpi print-ready CMYK 8 PSD files (4 Front and 4 Back side). All layers are fully organized and structured so that you can easily find the layers to change text and color.